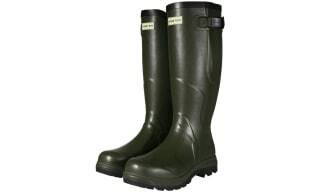 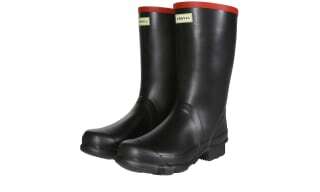 This collection of Hunter men's wellies and footwear incorporates a great selection of boots and shoes from both the Hunter Original and the Hunter Field ranges - meaning that there is certainly something here to offer everybody. 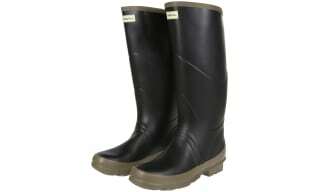 Drawing inspiration from Hunter's rich heritage and experience; this collection of men's wellies boasts a whole host of different styles and fits, including ankle, short and original tall styles, with a pair suitable for all. 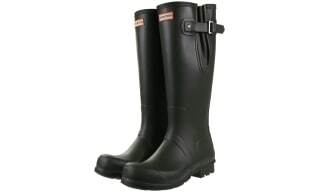 Whether you're looking for warming neoprene linings, wellies with adjustable calves or a stand out pair perfect for a festival, then you’re sure to get your hands on a covetable pair in our men’s Hunter wellies department. 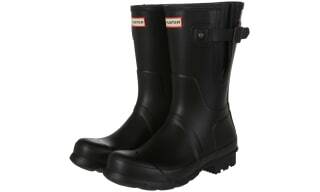 Including walking boots, wellies ideal for farming, walking and yard work, as well as Hunter’s ultra-comfortable flip-flops, our men’s Hunter boots and footwear collection will ensure that you are able to get kitted out for whatever you have planned this season. 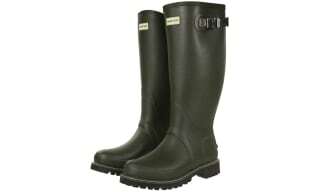 Outdoor and Country have selected a range of Hunter adjustable fit boots for men in a variety of styles including tall wellington boots, short boots for men and technical boots each featuring a gusset and strap to adjust the fit.